We know how important it is to correctly socialise puppies and introduce them to people, pets and places so that they grow up to be confident and loving members of the family. 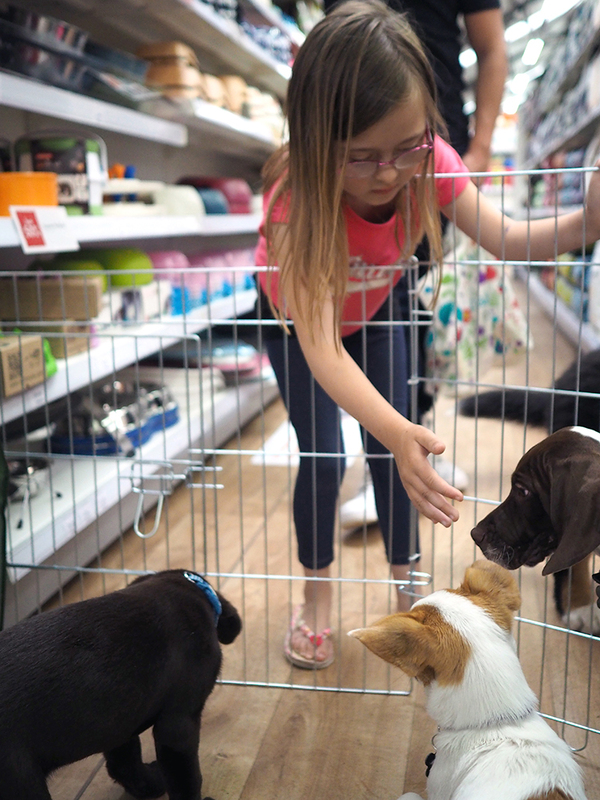 To help, we have a designated hour in each of our stores where you can bring your puppy along to meet new puppies and friends. It is also a great opportunity to make the most of our trained staff who are on hand to give advice on all things puppy. Between the times of 9.30 and 10.30 every Saturday we ensure a safe and welcoming place for your puppies to come along and play. We have lots of toys on hand for them to learn and play with as well as tasty treats to make their time in store a pleasurable experience. 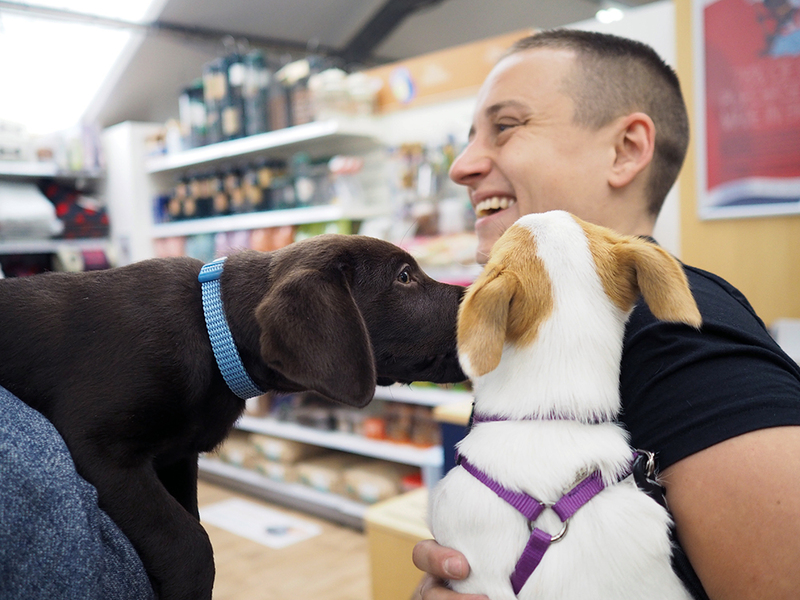 On top of this wonderful opportunity to meet new puppy owners and receive great advice in-store you can also get 10%* discount on all products for your puppy. Puppies, just like babies need to learn important social skills in order to live and prosper with their new families. The term ‘socialisation’ is simply a learning process all puppies must go through to learn key life skills to become confident and content in their environments and homes. During this time, they learn to accept things around them so that they are not afraid of them later in life. Anything that is encountered during the first few months of puppy-hood will be tolerated and even enjoyed. Puppies that are well socialised grow up to be friendly and happy with people and animals, taking different situations in their stride and enjoying going anywhere with their owners. During the first year of your puppy’s life is super important for them to experience as many encounters as possible, particularly during the most sensitive period of 3-4 months of age, without being overwhelmed. Socialising your puppy is easy, it is simply a case of introducing new people, pets, animals and environments in a gentle way and giving them a level of exposure to new things. As it is particularly necessary for pet dogs to enjoy the company of people, it is important that your puppy meets a lot of them, both adults and children. Take your puppy to meet new friends and family and invite them round to your house. Exposing your puppy to new people will ensure your puppy grows up to be friendly and outgoing. Socialising your puppy does require a few hours, in several small sessions every day, for the first year of life but it is most definitely one of the most important things to achieve. Other dogs and puppies (once they have had their full vaccinations), this should be pre-planned as you certainly don’t want your pup to become fearful of other dogs. Try to introduce your puppy to other dogs who are well mannered and accepting. You should observe your puppy constantly for signs of anxiety or being overwhelmed and, if things get too much, remove your dog from the situation or give your dog more space and freedom to approach. Remember young puppies tire easily, so keep encounters short with enough time in-between for resting. During all encounters, protect your puppy from bad experiences. Young puppies are inexperienced and get themselves into trouble easily. Think ahead and try to prevent any unpleasant events from occurring. Try to engineer encounters that will be successful and rewarding – if all early life is pleasant and positive, the puppy will grow up to feel safe and confident enough to deal with whatever life may have in store.